Carrying our young so close provides them with the essential stimulation their body and mind need for optimum development. Babies left in prams or push-chairs are perhaps missing out on this vital stimulation and often scream and cry as their way of letting us know this is not where they want to be, although, sadly we have become culturally desensitised into believing such distress is normal behaviour. In contrast to this, theBabaSling helps the baby to relax and prevents the baby from crying. 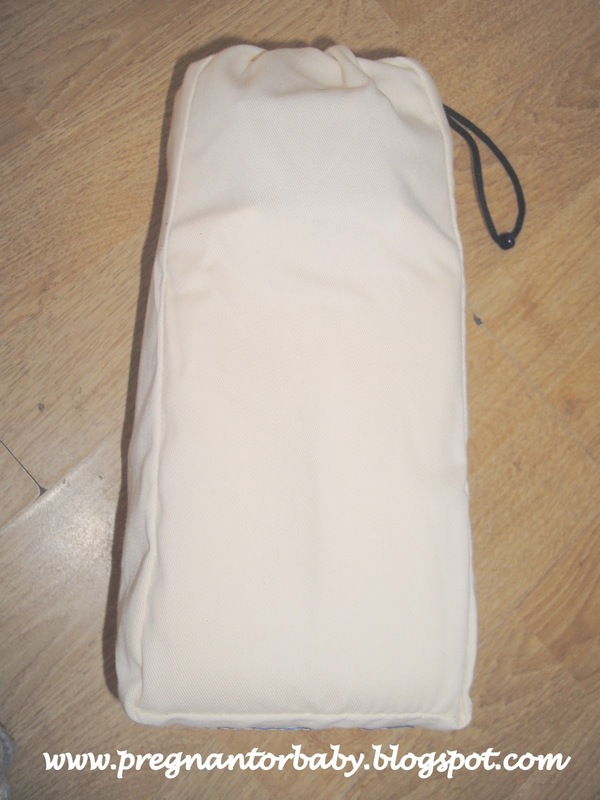 It comes with a cover which is great for travelling or keeping in your car or in your pram for when you are using your pram. Crying babies are almost always contented when they are picked up! 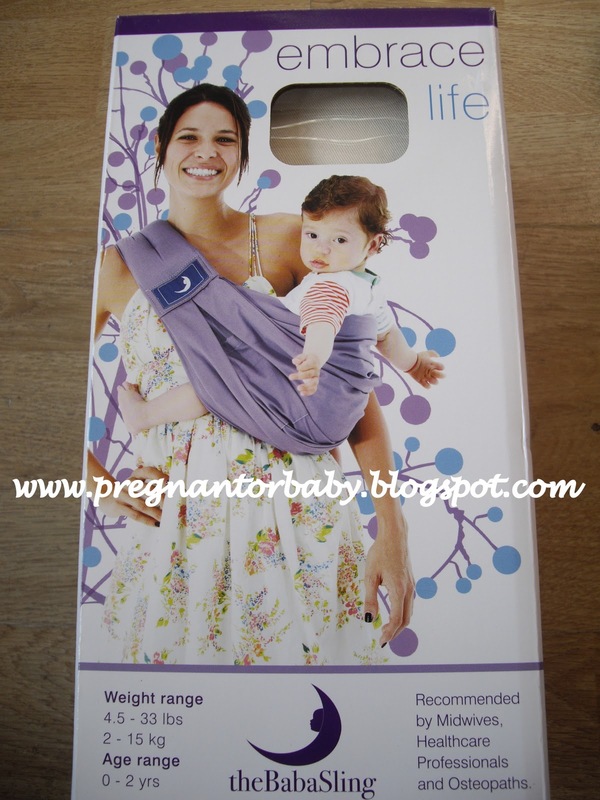 Did you know that recent research trials have shown that carrying regularly each day in a carrier such as theBabasling reduced daytime crying by 43% and night by 51%. Could you ask for more?! Having a 4 year old, I think having a baby sling will be a lot easier for outings especially with being able to keep up with my son. 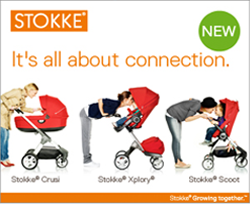 I am sure we have all seen someone doing the mad pram dash to catch there child while walking down the street. 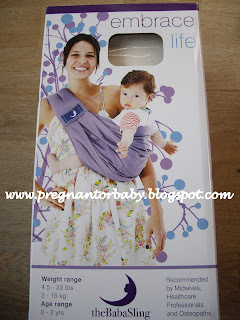 My worry with these is the falling over or baby falling out but once watching the videos providing on baba slings website I feel a lot more comfortable with the fact I am going to carry my baby too. 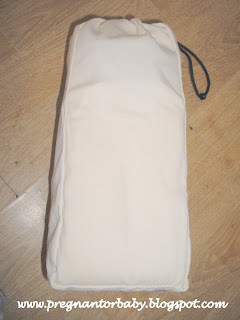 The Carry bag allows the sling to be taken with you when not in use so that when you need it you have it to hand, it is small enough to fit under your pram or even in your changing bag. 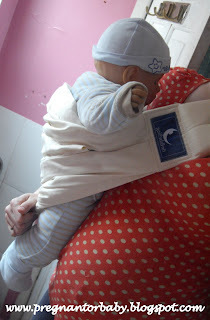 I would recommend practising using before you use this sling for your baby, I will be having many ago with the positions with Marcus my review baby :) At a cost of £39.99 I find this a very reasonable price especially when you think of how much use you will get from it. 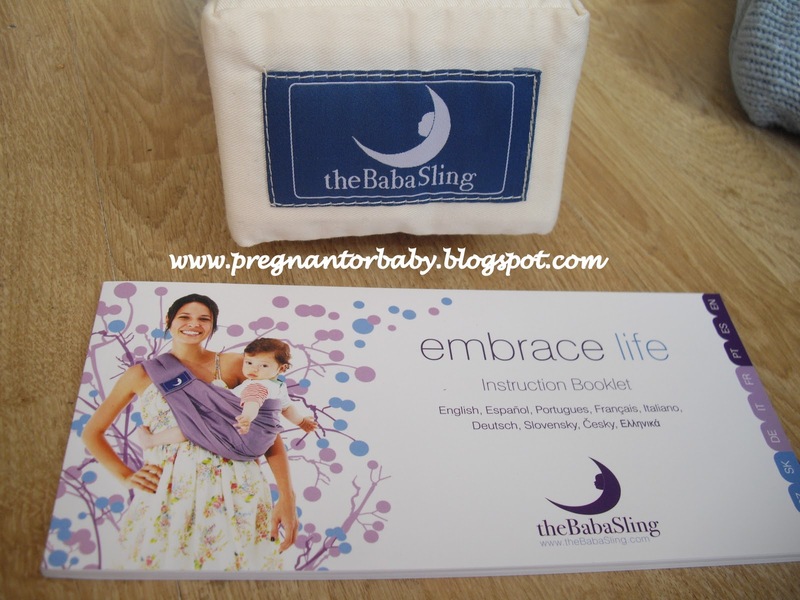 There are lots of ways to use the sling and baba sling have some very useful videos to make sure that you are wearing your baby correctly and safely and in the best way for your baby. 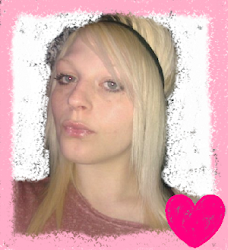 If you would like to watch you can click here it also explains the different ways to which you can use your carrier.